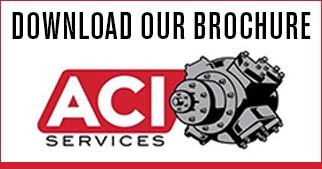 ACI Services provides our customers with the convenience of ordering a wide variety of quality replacement parts from a single source. Pistons, Piston Rings, Rider Rings, Piston/Rod Nuts, Rods, Distance Pieces, Seal Kits, Unloader parts, Poppets, Plates, Valve Seats, Valve Cages, Valve Caps, Studs, Nuts, Bolts, Cap Screws, Cylinder Side Plates, Gaskets, and complete Cylinders. As a Distributor for LeRoi Replacement parts, ACI can provide any LeRoi part required. As a Distributor for GE Oil & Gas Replacement parts, ACI can provide any HSR/Gemini part required.